This week, HDPE prices climbed in Asia. 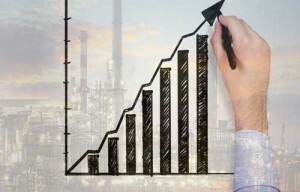 A combination of triggers were responsible for the price rise including improved regional buying trends, gains recorded in ethylene feedstock rates, strong import offers from overseas suppliers coupled with a rise in prices of other PE grades. In Far East Asia, HDPE film prices were assessed up at the USD 1135/mt CFR FEA levels, a week on week increase of USD 15/mt. HDPE yarn prices were higher at the USD 1160/mt levels, a rise of USD 5/mt from the previous week. HDPE injection moulding prices were assessed up at the USD 1110/mt levels, a gain of USD 5/mt on the week. HDPE blow moulding prices were assessed steady at the USD 1150/mt levels. In South East Asia, HDPE film prices were assessed up at the USD 1150/mt levels, a week on week increase of USD 20/mt. HDPE yarn prices were higher at the USD 1180/mt levels, a gain of USD 5/mt on the week. HDPE injection prices were up at the USD 1130/mt levels, a gain of USD 15/mt from the previous week. HDPE BM prices were assessed stable from last week at the USD 1160/mt levels. In South Asia (India and Pakistan), prices of HDPE film were assessed up at the USD 1150/mt levels, a rise of USD 20/mt from last week. HDPE yarn grade prices were at the USD 1190/mt levels, a week on week gain of USD 10/mt. HDPE injection prices were up at the USD 1160/mt levels, a rise of USD 20/mt from the previous week. HDPE BM prices were assessed steady at the USD 1150/mt levels. Feedstock ethylene prices on Wednesday were assessed at the USD 1190/mt CFR North East Asia levels, a gain of USD 15/mt from the previous week. CFR South East Asia prices of ethylene were assessed at the USD 1075/mt levels, a week on week increase of USD 5/mt. In plant news, Sinopec Sabic Tianjin Petrochemical has shut its 300,000 mt/year HDPE plant, located in Tianjin, China, on August 11, 2016 for a maintenance turnaround. The plant is expected to remain shut until September 24, 2016. In other plant news, Lanzhou Petrochemical has shut its 170,000 mt/year HDPE plant, located at Lanzhou in China, on August 11, 2016 for a maintenance turnaround until end-September 2016. Formosa Petrochemical Corp (FPC) is in plans to shut its 320,000 mt/year HDPE plant, located at Mailiao, Taiwan, end-August 2016 owing to a shortage of feedstock. The exact duration of the outage could not be ascertained. In India, a Saudi producer has offered its HDPE film grade at the USD 1150/mt levels, on a CIF Nhava Sheva port basis, for shipment in end-September/early-October 2016.